Van Egmond: "I wanted to challenge myself against the world's best"
"It isn't the best weather to return to," was the dry lament from Emily van Egmond as she enjoyed a coffee at her local haunt in Newcastle, Australia – 162 kilometres (101 miles) north-northeast of Sydney. A little over 48 hours prior the Novocastrian was half a world away experiencing the dream of many Australian football youngsters – winning trophies and making a living playing football in Europe. 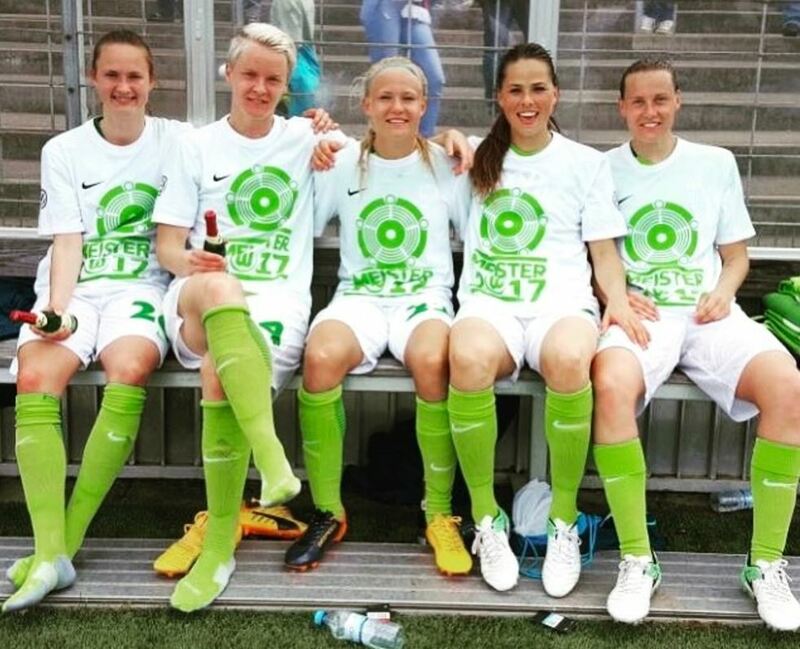 Wolfsburg, Germany, to be specific, as she lined up for one of the top clubs in the world. That the dream came true for Van Egmond still sounds surreal for the 23 year old self-professed football tragic. "The club speaks for itself," she said. "The team and training every day is just unbelievable. You are training and playing against the best players in the world and there is not really more than you can ask for." Van Egmond's dream move to Wolfsburg came after a tale that is familiar to many Australian footballers. On the back of a good showing at the 2015 FIFA Women's World Cup, the midfielder was snapped up by seven time Frauen Bundesliga champions FFC Frankfurt. The 2015/16 season was a promising one for Van Egmond as she made 17 appearances and scored her first Bundesliga goal. However for Frankfurt, a club used to success, a third place finish and exclusion from the UEFA Women's Champions League resulted in a change of coach. As is often the case, it also resulted in a change of fortunes for the Australian. "I had my first year with Frankfurt and everything was good," she remembered. "But then things changed and I guess the club wanted to go in a little bit of a different direction." The news of Frankfurt's decision to cut her occurred at an inconvenient time with the midfielder a key part of Australia's engine room during the Rio 2016 Olympics. Before disappointment could set in, an unexpected contact occurred and soon Van Egmond was accepting an offer and departing for Wolfsburg. On face value, it was a pretty to easy decision but that's not to say there wasn't slight pause in joining the Wolves. After all this was a club that in the past five years had won the UEFA Women's Champions League and the Bundesliga twice and the German Cup three times. How she would fit into the club's plans was a certainly a lingering question given the circumstances surrounding the Frankfurt departure. "Look, obviously signing for such a big club you know that you are not given." "That always plays in the back of your head but I think for me I wanted to challenge myself against the world's best." "You don't usually get the opportunity to play for such a big club and I thought "why not give it a go?" After all 2014 FIFA Women's Coach of the Year Ralf Kellerman had obviously identified traits that would be useful for his team. Coming into the squad it was clear early that earning game time would be a daily challenge. Within the squad were two national team captains - Pernille Harder (Denmark) and Sara Björk Gunnarsdóttir (Iceland) – and no less than 20 current or former internationals. Despite the fierce competition the 23 year old has thrived in the professional and cut throat environment. "When you come into a club like this, everyone has got to fight for their own position. One week you can be in, one week you can be out. It is as simple as that. [laughs]"
"I just love that the daily training is at such a high intensity and the quality of players around you is just phenomenal." "The most important thing was I was happy in that environment as well and it was a really good learning experience. I definitely got better at some things that I needed to work on." "The drills the coaches put on were of a high quality and I was like a sponge. I just loved it." "It is a footballing environment for sure. Everyone is so technical, everyone gets the game and then on top of that everyone is a superb athlete." Minutes were a rarity in the early part of the season as Wolfsburg struggled to gain momentum. In fact it was Australian teammate Elise Kellond-Knight's Turbine Potsdam who led the Bundesliga up until the 2016 Christmas break. For a player who has been at the centrepiece of several club sides since her teens, the move to the bench was another teaching moment. "For sure it is not an easy thing but that is something you have got to adapt to," she told The Women's Game. "I mean if you ask every player, no one wants to sit on the bench. You do have to have the right mentality for it but if you believe in the coach's philosophy and the club vision, you just have tell yourself to make it work." "I stayed quite positive throughout the season which I think was also a good thing." Out of the winter break, Wolfsburg's fortunes changed and so did Van Egmond's as started to turn up regularly on Kellermann's match day line ups. As Wolfsburg recorded regular wins, the midfielder recorded regular minutes making the most of her opportunities with goals for the club. All in all her first season saw 8 appearances with 4 goals and, most importantly, the Wolves held off challenges from Potsdam and defending champions Bayern Munich to claim their third Frauen Bundesliga title. 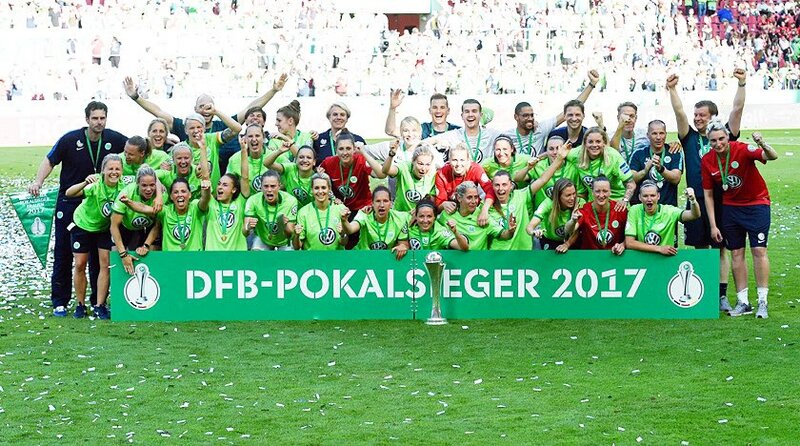 A fortnight later Wolfsburg added to their already well stocked trophy cabinet with a win in the DFB Pokal (German Cup) to record their second ever domestic double. The conclusion of the season also saw the curtain drawn on Ralf Kellermann's incredibly successful 9 year reign. While Van Egmond has won individual honours before – the 2014 Julie Dolan Medal – 2017 saw her capture her first major club silverware. "It was a good season. It was definitely a long season that's for sure. [laughs] To win the double is awesome especially for our coach." "I mean he spent such a long time at the club and building the club to what it is today and I think it was a good way to send him off." After a 9 month season with the German giants, Van Egmond is now back home for a well-earned break before reporting for Matildas duty in July. It is a new cycle for Australia with their sights squarely set at the 2019 FIFA Women's World Cup. As a long-time member of the world's top 10, it's a cycle where the Matildas carry some internal and external expectations. Having spent the last two seasons in Germany – home of the reigning Olympic Gold Medallists, 6x defending European Champions and World No. 1 – Van Egmond has gained an insight into what is required for Australia, and herself personally, to take the next step in world football. "The mentality has been a big change for me," she stated. "The Germans have a very strong mentality. It is a win at all costs mentality which is great. It is something I have looked to implement into my game and have gotten better at." 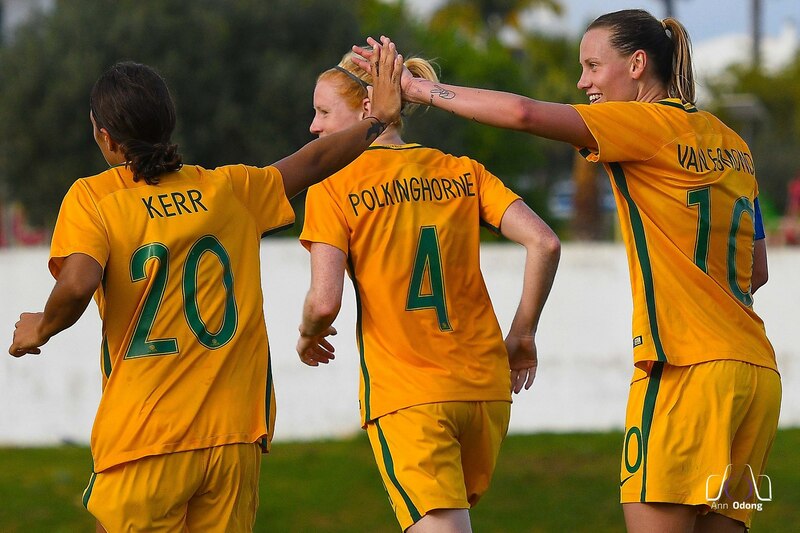 "For the Matildas it's probably just become more consistent. That has been one of the biggest issues with the Matildas in general. We don't play as regularly as other national teams and it is very important to get games in order to build that consistency." "But on the positive side, we are young, have a lot of potential and a majority of the girls are now playing overseas in pretty strong competitions." Potential; it's a word that has been used to describe the national team since the wunderkinds of Van Egmond, Sam Kerr, Caitlin Foord, Steph Catley, Alanna Kennedy and co came through in 2011/2012. Part of that Class of 2011, Van Egmond paused when asked how Australia can follow nations like the United States, Japan and Germany in converting that potential into medals. "That's a good question. Again it comes down to playing games regularly and being in big competitions regularly which we have been in the last couple of years." "Qualifying for the Olympics, getting out of the group, going to the Algarve Cup and topping the group against nations like Sweden, the Netherlands and China, these are steps forward. "Obviously this tournament coming up now with America, Japan and Brazil – all very good games – they are the big games and we need to consistently record big results against these teams." "I think the more players we have who are being successful will just create a more competitive environment which is what we need in the Matildas." "Players pushing each other every day and giving Staj a headache to see who he is going to put on the park." 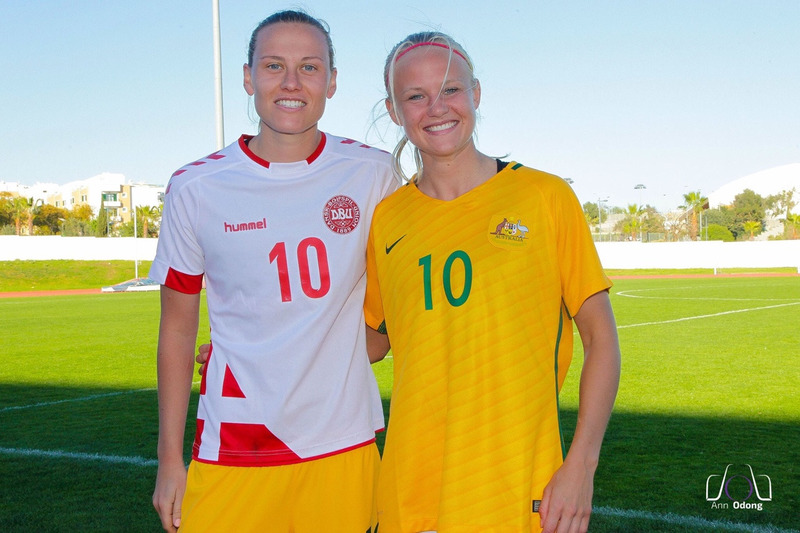 Matildas abroad: Where are they?